The Caetani Cultural Centre (C3) is the former home of renowned Vernon artist, mentor and teacher Sveva Caetani. 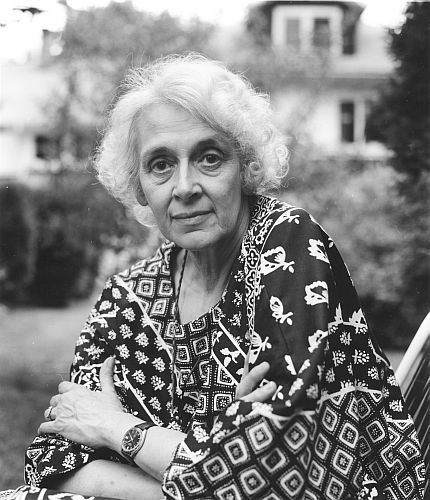 Sveva Caetani was a visionary figure in the community with a deep belief in culture, education, knowledge and the importance of artistic endeavours to the well-being of society as a whole. The Caetani house was built by Samuel Sommerville, in 1895, and is described as Late Victorian Vernacular Revival Style. It is a recognized and designated heritage building and registered with the City of Vernon. The house was purchased by Leone Caetani, Duke of Sermoneta and Prince of Teano, Italy, in 1921. Partly in response to the rise of fascism in early 20th century Italy, this branch of the family relocated to the North Okanagan in 1921. Sveva’s father, Leone, had previously been to the area for bear hunting in the 1890s as part of a trip across North America. Leone Caetani is still recognized today as one of the most influential and knowledgeable scholars of Islam. Global circumstances and a reversal of fortunes in the financial crash of 1929 preceding the Great Depression combined to weave an intricate social legend and the property is now a beloved regional heritage site. Recognized as a name of great significance in Italy, the Caetani family has a substantial documented political, cultural and social history stretching back to 8th century Rome, including: two medieval popes, a long line of Italian statesmen, members of the aristocracy and parliament, artists, writers, musicians, and creative individuals. The family made many scholarly and cultural contributions, and contemporary holdings include an internationally acclaimed music school in Sermoneta, Italy, the Caetani Library in Rome, and the Gardens of Ninfa (made famous in a PBS series hosted by Audrey Hepburn), among other notable endeavours. As a young child, Sveva lived a life of wealth and privilege. Frequent excursions to Europe were a regular part of her existence, and included shopping for Chanel dresses with her mother in Paris, visits to the extensive family holdings in Italy, and trips to Monte Carlo. She took art lessons from the artist Andre Petroff. The family was frequently attended by Sveva’s governess Miss White, as well as her mother’s lifelong companion, Miss Juul, who would continue to live with Sveva until her own death in the 1970s. Following the death of her father in 1934, Sveva Caetani’s life changed considerably. Both mother and daughter were devastated by this event. Her mother, Ofelia Fabiani, always fragile both physically and emotionally, removed the young 17 year old Sveva from her private school, Crofton House, in Vancouver and she was made to live at home in seclusion with her mother. Ofelia contrived to keep her daughter as close to her side as possible and managed to curtail almost completely any social contact and would limit Sveva’s access to the outside world for the next 25 years. No longer allowed to engage fully in her artwork, limited mainly to reading via her father’s extensive library, Sveva Caetani essentially became a prisoner of her own home from 1934 until her mother’s death in 1960, only seen occasionally in the town when conducting her mother’s banking or business, accompanied by the diminutive Miss Juul, her mother’s companion. Following her mother’s eventual death in 1960, she was employed as a French teacher at St. James school. She was eventually able to obtain her teaching certificate from the University of Victoria and returned to the area to teach at Charles Bloom Secondary School. She would become a beloved teacher and mentor to many of the local youth, as well as returning to her former creative pursuits of painting, drawing and writing. An extensive collection of over 50 large, luminous watercolours by Sveva Caetani was completed in 1989 as part of the story of her life’s journey, entitled Recapitulation, and is now housed by the Alberta Art Foundation. Recapitulation is a symbolic interpretation of Sveva’s journey through life, accompanied by her father as her guide, and inspired by Dante’s Divine Comedy, examining the human condition and elements of man and his existence. The Recapitulation series was exhibited in Vancouver, Nanaimo, Ottawa, Toronto, and Edmonton. Prior to her death in 1994, Sveva Caetani was interviewed on CBC by Vicki Gabereau and also by CBC’s iconic Ideas radio program. Sveva Caetani’s works and writings are the subject of the full-colour, 128 page book by Heidi Thompson of Coldstream Books, Sveva Caetani: Recapitulation, and two short films, Sveva: Prisoner of Vernon by Jim Elderton, and The Mystery of Sveva Caetani, by Agustin Luviano-Cordero, as well a CURA project and master’s thesis at the University of Victoria (see links below). Numerous additional academic publications and research have been conducted regarding the Caetani family in both Canada and Italy. As one of the last surviving members of the family, she received a half page obituary notice in the London Times. The 1994 Caetani bequest gifted 1.5 acres of gardens and a 6,000 square foot historic designated heritage home to the community of Greater Vernon with the express wish that it serve as a cultural facility for artistic and critical exploration. Originally, the Caetani Cultural Centre was a part of the Vernon Public Art Gallery Society, however, it was established as a separate society in 2008. The Caetani Cultural Centre (C3) facilitates artistic expression and cultural experience by providing creative spaces to visual artists, writers, musicians, performers, cultural researchers and complementary community programming to enhance the overall cultural life of the region and to encourage, inspire and increase opportunities for the arts in the Greater Vernon community. Visit caetani.org to learn more about our programs and upcoming events. Additional information regarding Sveva Caetani and the Caetani Family can be found at the website of the CURA project of the University of Victoria, entitled Caetani di Sermoneta: An Italian Family in Vernon 1921 – 1994. Karen Avery completed her M.A. thesis on Sveva Caetani, entitled The Elusive Self: Storytelling and the Journey to Identity in Sveva Caetani’s Autobiographical Series “Recapitulation” and is available for viewing at the History in Art department office at the University of Victoria. Additional information may also be found at the Greater Vernon Museum and Archives, and in Okanagan History Vignettes: Sveva Caetani: A Fairy Tale Life through Copian: Connecting Canadians in Learning. Sveva Caetani passed away on April 27, 1994. She bequeathed the Caetani House and grounds to the City of Vernon and the citizens of the North Okanagan in her Will, with the express wish that they be utilized for the benefit of the residents of Vernon and the surrounding area for use in all artistic pursuits. In 1978 Sveva began painting her masterpiece, a series of 56 large, luminous watercolours that would recount the story of her life. Despite her failing health, she completed the series in 1989. Titled Recapitulation, it is now housed by the Alberta Foundation for the Arts in Edmonton. In 1995 the book Recapitulation – A Journey by Sveva Caetani di Sermoneta was published by Heidi Thompson. Heidi spent many years with Sveva documenting her life and art. Her book is available from the Greater Vernon Museum and Archives or through her website www.heidithompson.ca. The Caetani Cultural Centre Society gratefully acknowledges the Vernon Public Art Gallery Society as current copyright holder for the use of the Caetani artwork images.